Rodd & Gunn $168 $126 (available at Nordstrom, Neiman Marcus, and Rodd & Gunn). 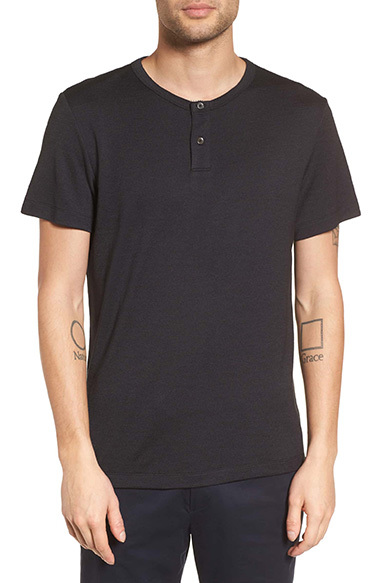 Skip your preppy schoolboy Lacoste or engineer polo and go for a lightweight polo or one with a unique edge. Zachary Prell has a great one out. And I rediscovered this fabulous retro polo by Magnoli Clothiers that looks fantastic on those with flat stomachs. This shirt is available on eBay and Amazon (in blue here). 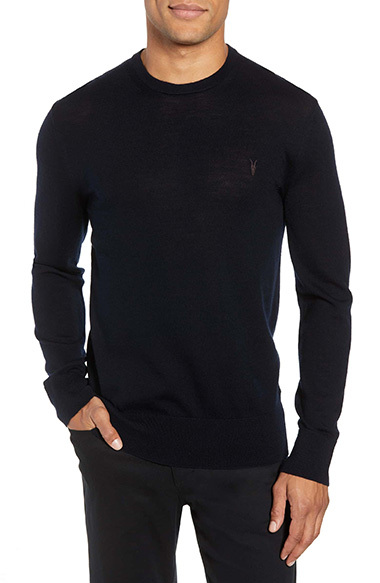 Many of you already know about the long sleeve henley from my post a couple of months ago on long sleeve t-shirts. The short sleeve version is less popular, but just as good when you get the ones I recommend. 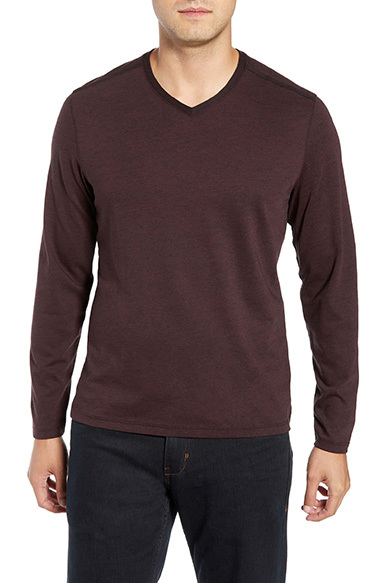 Pictured is one of my favorites, the Theory Gaskell Anemone Slim Fit Henley. It is available at Nordstrom. I also love Vince’s striped Henley, which is available at Nordstrom, Vince, Neiman Marcus, and Bergdorf Goodman. Just because a long sleeve shirt has a collar, doesn’t mean it isn’t pajama soft and/or utterly casual. I want clients to start thinking of these soft collared shirts as t-shirts because that is often what they feel like. Try on this Scarborough sport shirt by Rodd & Gunn and tell me it isn’t the most comfortable collared shirt you’ve ever worn. 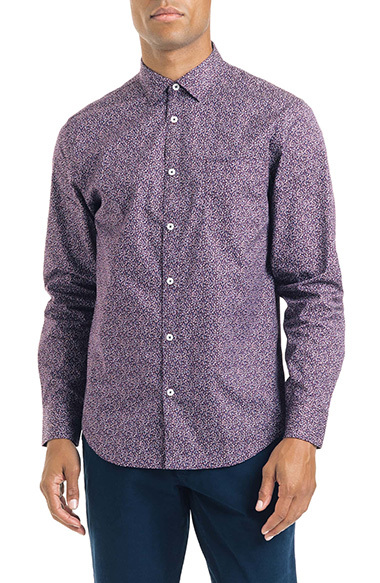 Rodd + Gunn is my go-to for t-shirt soft long sleeve collared shirts. 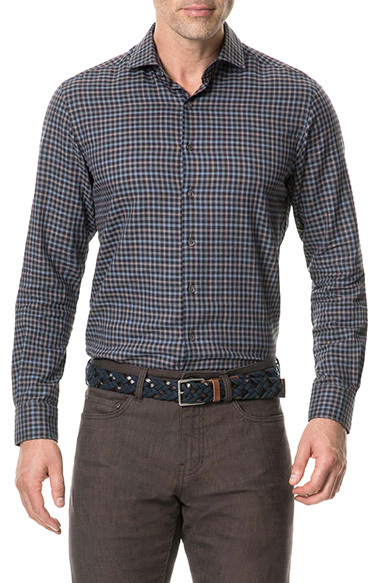 The Scarborough shirt is available at Nordstrom and Rodd & Gunn. You know I am not talking about Tommy Bahama’s short sleeve collared shirts or my Dad’s summer work shirt he wore to IBM in the ’70s. 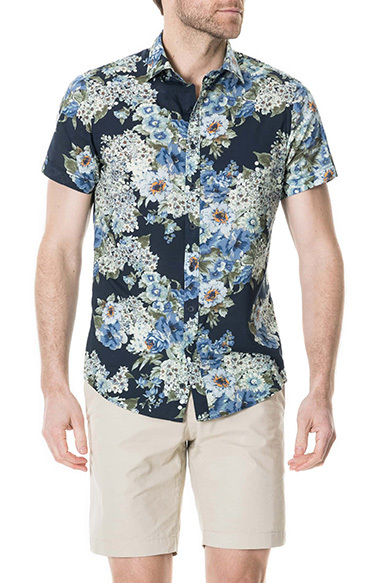 I am talking about the incredible variety of short sleeve collared shirts that are available in all sorts of weights and prints. 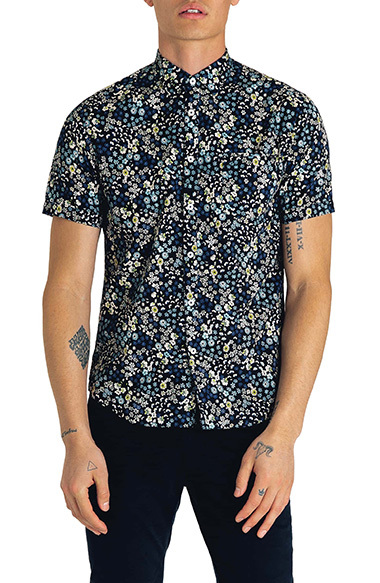 Good Man Brand is one of my favorite brands for men’s casual shirt styles, but there are so many. 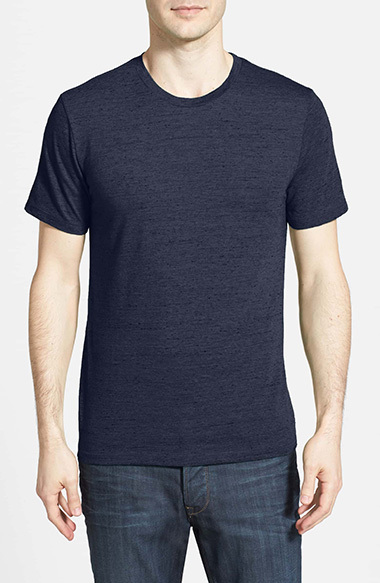 A non-offensive, unbranded graphic tee that fits well is extremely tough to find, but once you do, it ends up going with everything. 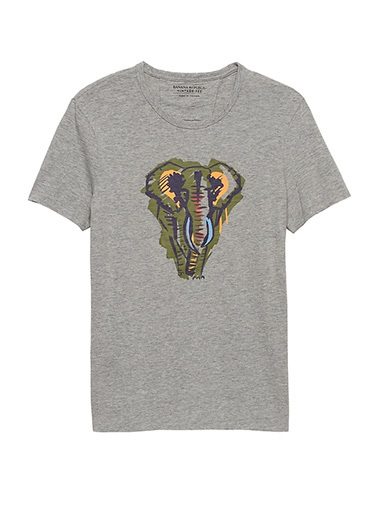 My go-to store for graphic tees that don’t have booze, babes or brands is Banana Republic. Boss used to make fantastic graphic tees, but not so much anymore. Target has a few as well. Don’t forget, it is better to be overdressed than underdressed. Being casual doesn’t mean you have to live in tees. 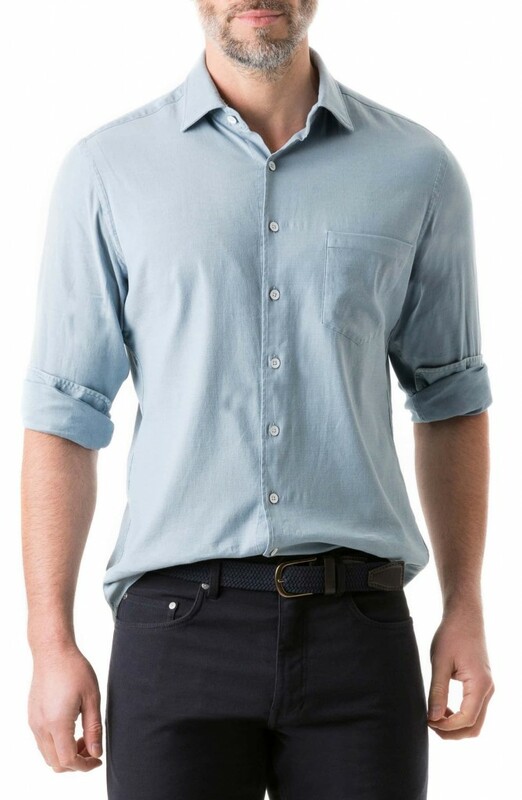 Sporting a nicer collared shirt instead of a tee will get you more attention, and is far more flattering if you don’t have an athletic body type. 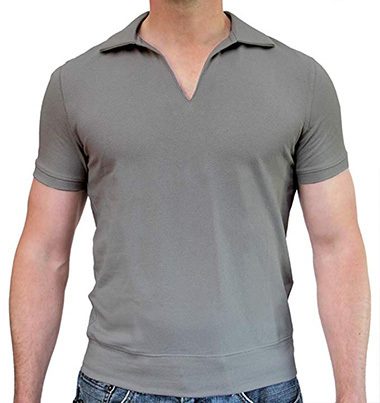 Of all the men’s casual shirt styles, I have no doubt you are familiar with the plain t-shirt. The beauty of this guy is you can get a nice fitting plain t-shirt just about anywhere from Target to Nordstrom. FYI, it needs to fit perfectly, and v-necks tends to be more flattering.